Late last year, we reported that Oscar Isaac had signed on to an animated film based on The Addams Family, with Isaac set to follow Charles Addams and Raul Julia’s lead by starring as Gomez Addams. That was all we knew at the time, but now the rest of the altogether ooky family has been cast as well—and they’re all pretty big names. 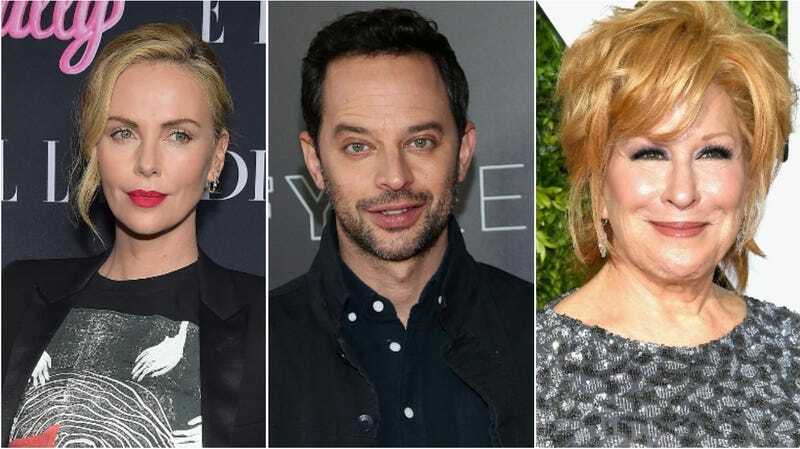 According to Deadline, Charlize Theron will be providing the voice of Morticia, Better Midler will be playing Grandmama, Finn Wolfhard will be playing Pugsley, Chloë Grace Moretz will be bumming everybody out as Wednesday, Nick Kroll will be creeping everybody out as Uncle Fester. Allison Janney will also be there as the family’s “arch nemesis” Marxaux Needler. The film will be directed by Sausage Party’s Conrad Vernon and Greg Tiernan, but Deadline says this won’t be about adult humor like that one was. Instead, the goal is to introduce the characters to new kids with a story about the Addamses feuding with a reality TV host. That Deadline story has a preview image of what the characters will look like, and while it’s definitely mysterious and spooky, we’ll have to wait until the movie comes out before we decide if they’re both creepy and kooky.